Amenities galore in this rear-facing, end-unit townhouse. 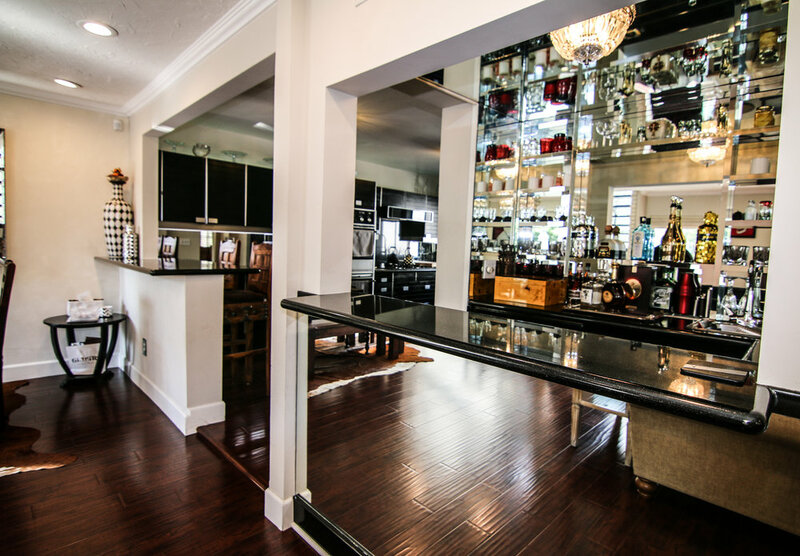 The foyer leads into a large great room, featuring wood flooring, fireplace, and mirrored built in bar. Ample cabinetry and breakfast bar in the adjacent kitchen. The large, private patio off the back of the family room receives a great mix of sun and shade. Take the stairs to the third floor where you'll find the two bedrooms with en suite bathrooms. The awesome landing has gorgeous venetian plaster and brick walls and a floor-to-ceiling window that overlooks the back yard and large glistening pool. The master suite features high vaulted wood beamed ceilings, huge newly refinished walk in closet and large bathroom with double sinks and large soaking tub. 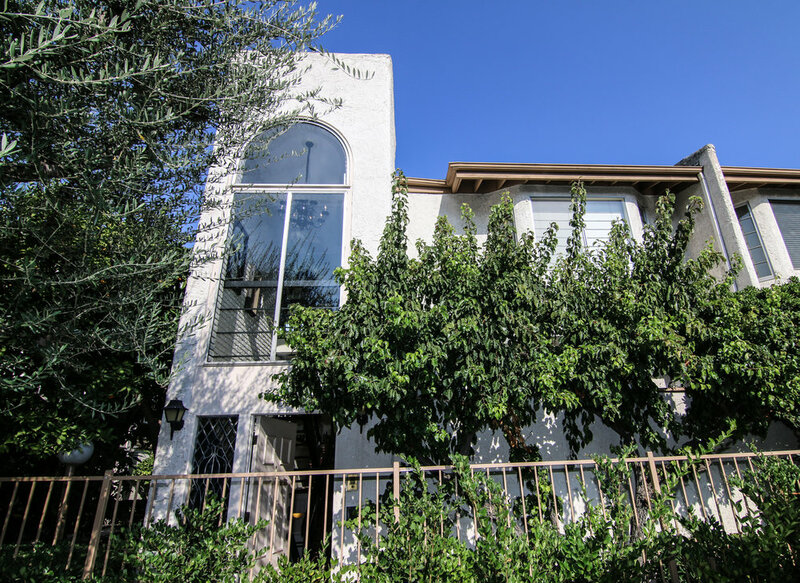 This end unit townhouse has wood flooring throughout and a brand new HVAC system. Relax in the huge, well-maintained community pool and spa in the back yard. Fruit trees and lush greenery are plentiful throughout the meticulously maintained grounds. Easy parking with two car garage with direct access. Conveniently located to nearby Whole Foods and Ralph's and tons of restaurants. Great location!